With assured confidence, you know that our pest control technicians will rid your home or business of unwanted pests. We are professionals who understand the dynamics of pests in our area, how to remove them correctly, and provide quality service to keep your pets and family safe. We are efficient, effective and affordable- pests are gone! 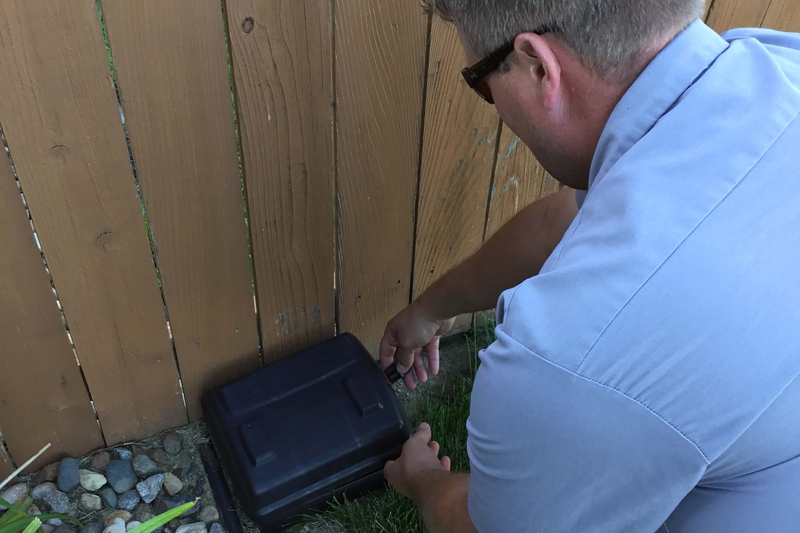 Inspection is key to correctly managing pest control. We review your property inside and out to determine what pests are around. If we find an infestation we will recommend the best course of pest control for you. Our technicians are highly trained, skilled and licensed, so you can be confident in their advice for pest removal. We thoroughly explain what was revealed in our inspection and what pest exterminations options are best for you. We provide the cost, type of service and depending on the infestation, the steps to follow up in the future. We offer many different options for pest control- we know that inside and outside environments require a different treatment and technique and we can explain all method options for your environment. We are courteous and careful of your property, and are happy to answer any questions you may have. Many pests require on-going maintenance. Being proactive against the natural return of pests is a constructive way to prevent future issues. We offer many solutions to protect your property with pest monitoring and extermination schedules that suit your specific residential or commercial needs. We can show you how we can keep your home and property free from pests all year.